A play on "It's Raining Men" is particularly perfect if you're newly single. 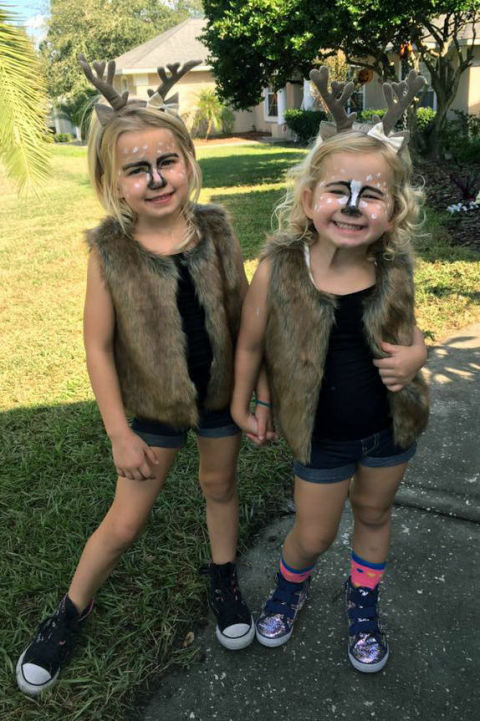 Whether you or your little one decides to go as a deer for Halloween, all you'll need is a brown faux fur vest, an antler headband and a little face paint worn over a simple dark outfit. Too cute! 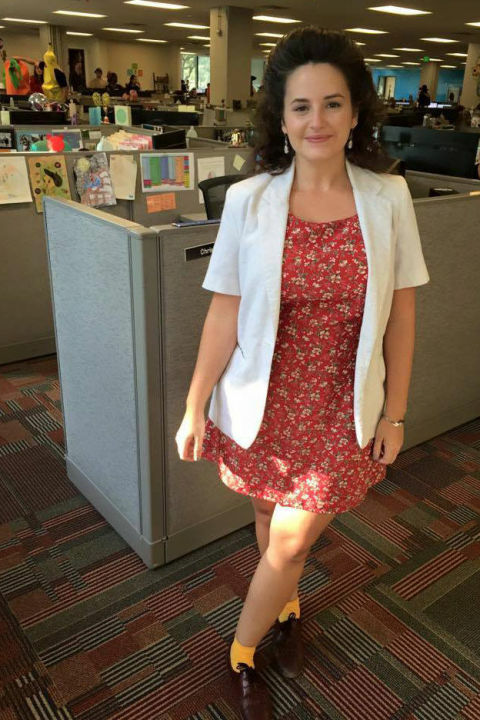 Got a solid shift dress in your closet? 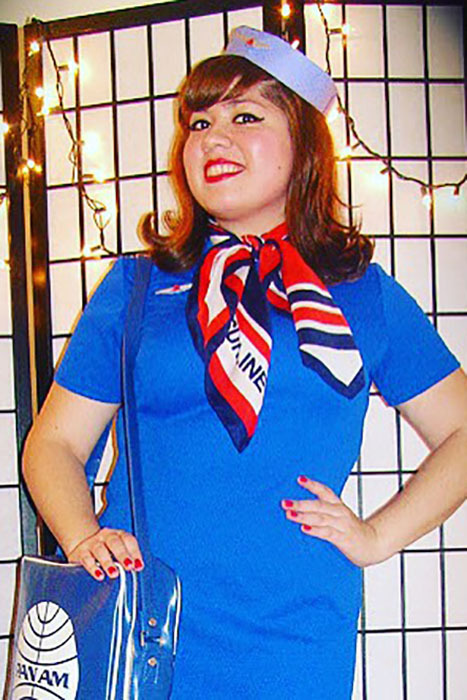 You're only a couple accessories and a sharp cat eye away from a '60s stewardess costume. Here's a cheap thrill: The only thing you need to buy for this Sia costume is her signature two-toned wig. You can get it on Amazon for less than $10, then wear whatever black and white ensemble you have at home. Bonus points if you get a friend to dress up as Maddie Ziegler. Hallelujah, it's a costume that's weather-proof and will make your friends LOL. 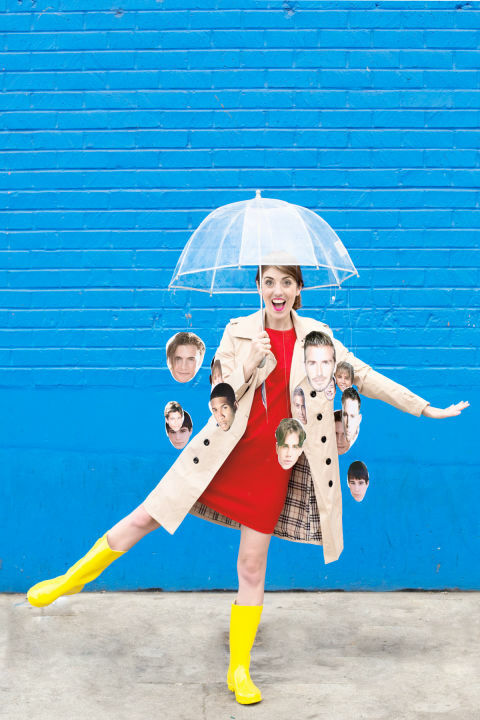 Tape cutouts of your favorite guys to a clear umbrella, then wear rain boots and a trench coatto complete the look. 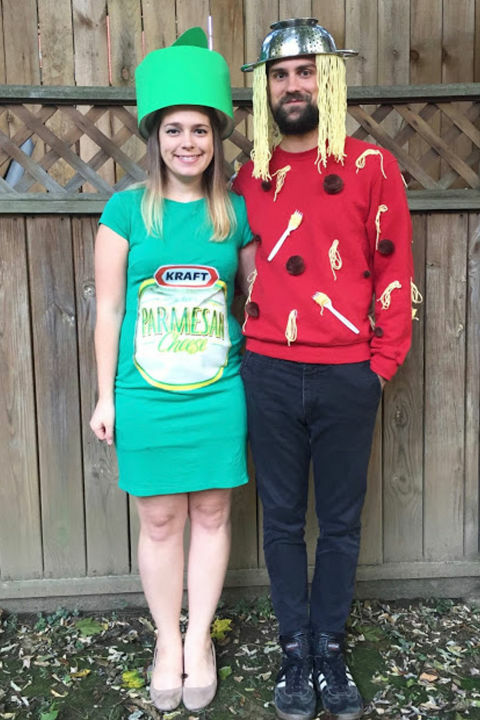 Celebrate your love of pasta with this anything-but-cheesy costume. Get a green jersey dress and glue on the parmesan label, then use pom-poms and yarn for your spaghetti sweater. Top with a colander and pasta "hair" — we recommend angel hair. Grab your favorite floral dress (ideally a tiny print), a blazer and your most awkward dance moves, and this '90s icon is instantly recognizable. Don't have the outfit or the curly brown hair? Believe it or not, there are now readymade Elaine costumes ($31, walmart.com). 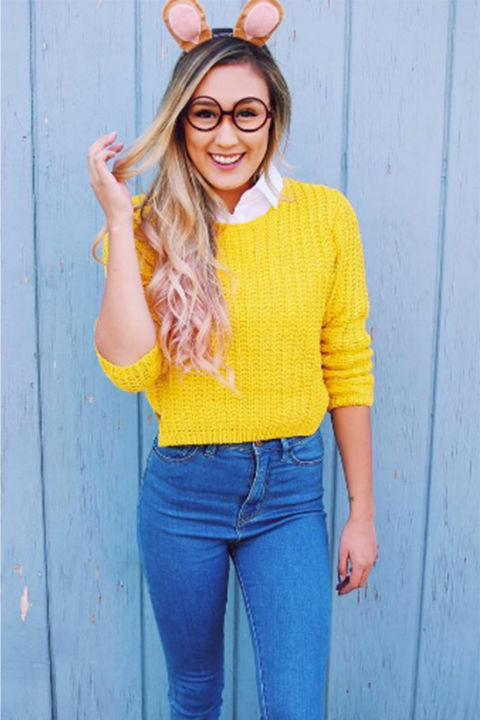 Dressing up as emojis has become a big costume trend for Halloween, and the simplest way to do it is to use clothing you already own. 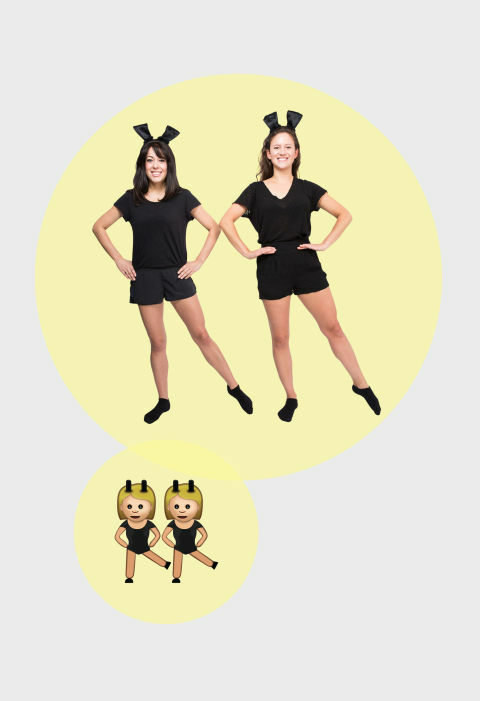 A black shirt and black shorts make up the clothing portion of this dancing girl emoji pair, while black card stock attached to headbands serves as bunny ears. If you're not up for even that level of effort, just find a pink shirt. 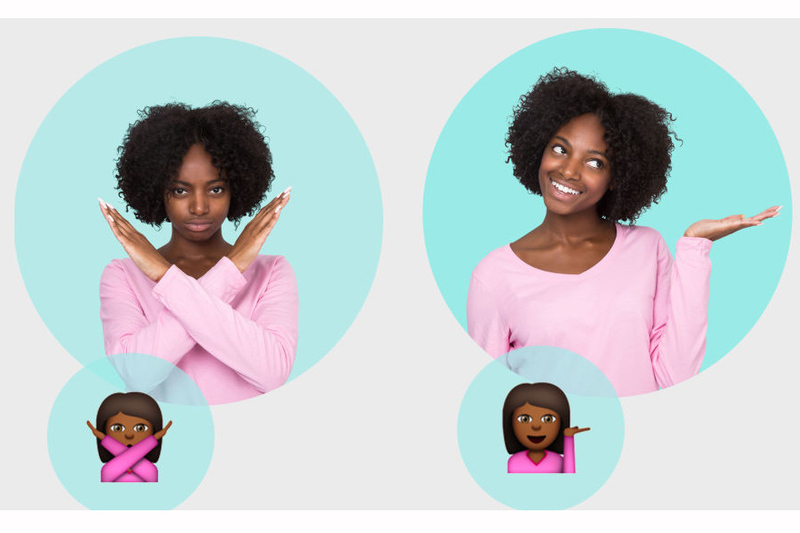 Then strike a few familiar emoji girl poses every time someone asks what you are. Bonus points if you bring a pair of scissors to recreate this favorite. 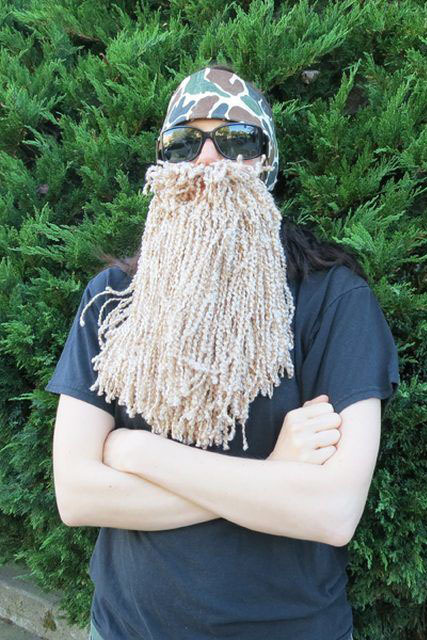 You don't need a giant self-grown beard to dress up as these mountain men — all this costume requires is a pair of sunglasses, a headband, and a tolerance for yarn going in your mouth. One of the year's hottest Halloween costumes is surprisingly simple — and you can even dress up your little one to match! 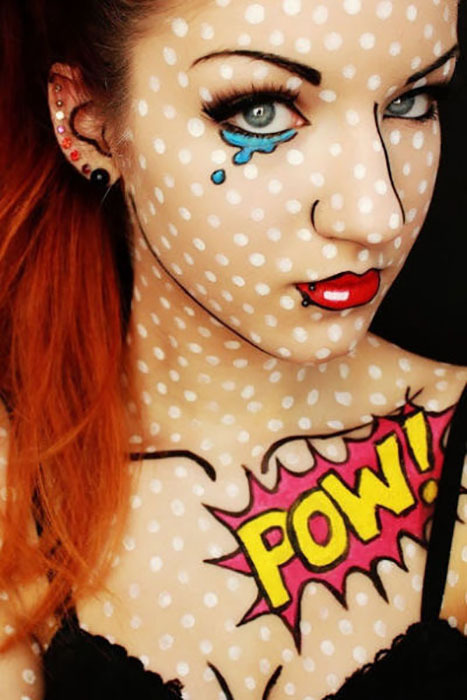 With this cool costume makeup, you can pretty much wear whatever you want and still look incredibly put together. 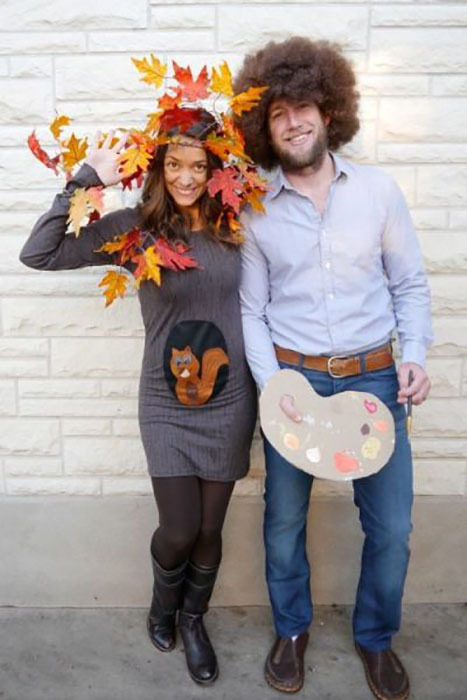 Dress up as everyone's favorite prehistoric couple — at a borderline-prehistoric price, too! At just $15 total, this quick craft is reasonable on so many levels. 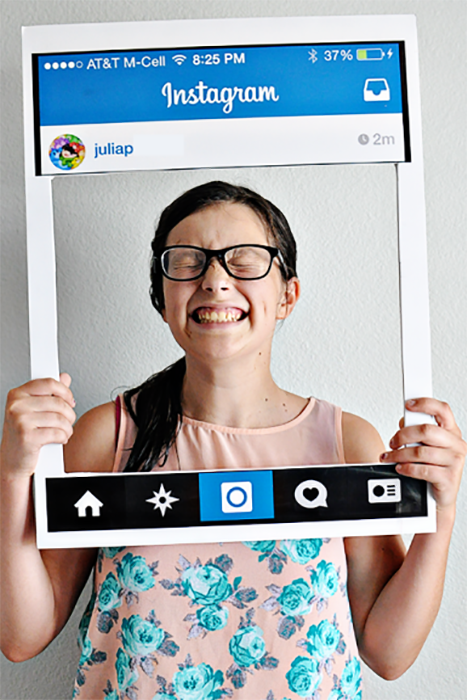 If you forgot to buy a costume, look no further than this easy Instagram cutout — social media is the ultimate inspiration source, after all. Just make the battery a little more charged than this DIY-er did — that 37% is stressing us out! 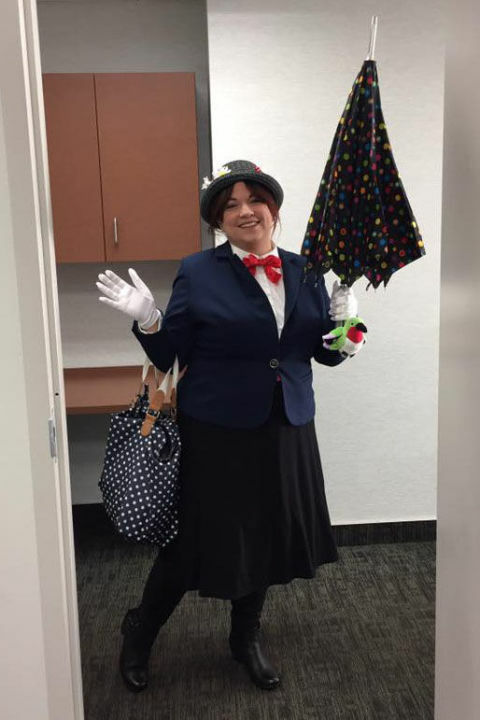 If you wore a dark midi skirt and blazer with a white button-down, it might not look like much of a costume; add a red ribbon around the neck, however, and you're clearly Mary Poppins. Whether you copy last Sunday's puzzle or come up with your own (impressive! 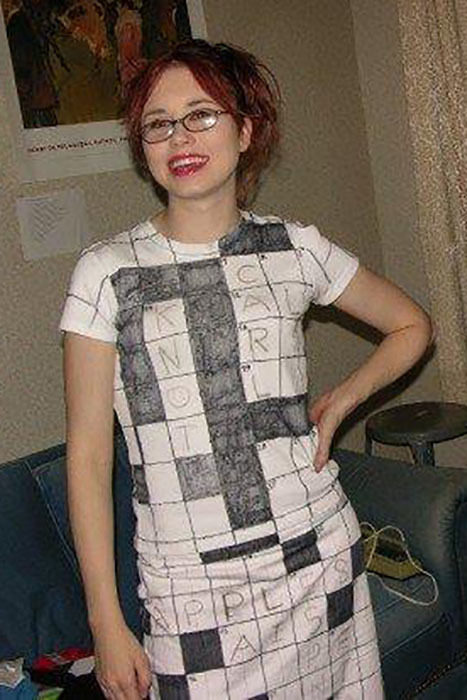 ), this costume is as clever as it is easy to create. This hilariously G-rated version of 50 Shades of Grey takes the title literally. Simply layer as many different gray items of clothing and accessories you have in your closet. 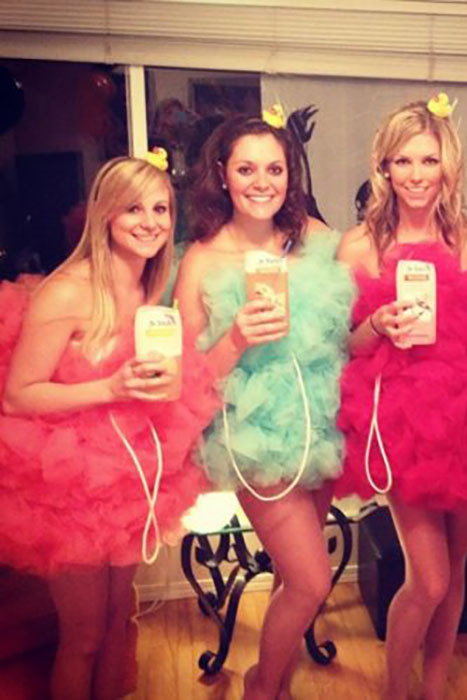 Tulle, tulle and more tulle is the bulk of what you'll need to create this funky loofah costume. A pearl string and a cute little rubber ducky "hat" complete the look. Celebrate the season with this adorable scarecrow costume that's anything but scary. And if it's cold outside, you can always throw on a jacket — just be sure to stuff a little extra hay in the sleeves! Feeling artsy this Halloween? 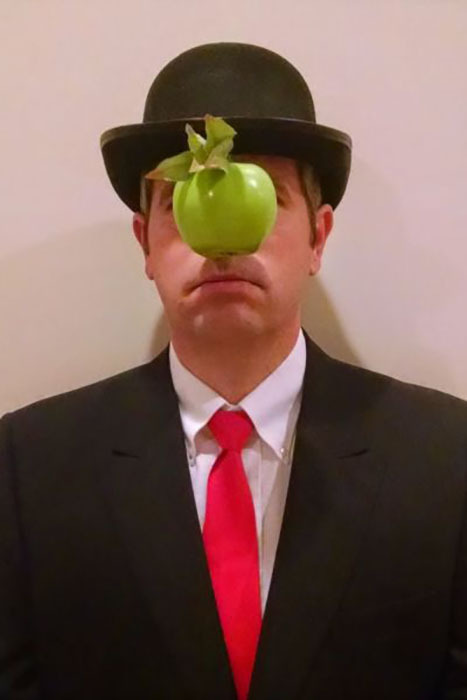 Go highbrow with this costume inspired by Rene Magritte's "Son of Man" painting. You're sure to be everyone's pick when it comes time to bob for applies. 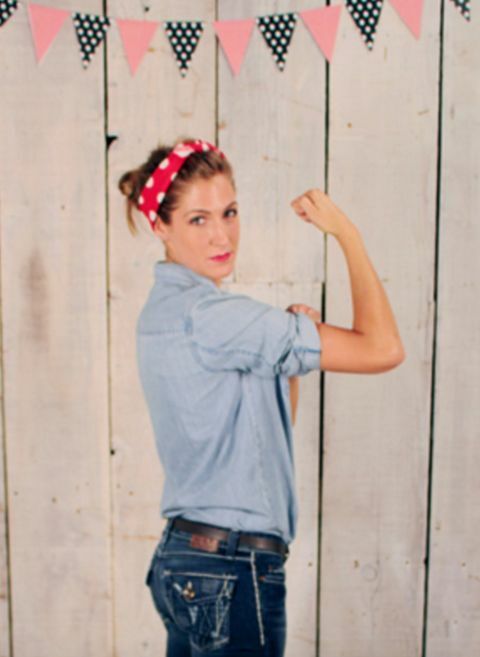 This classic DIY costume never goes out of style. Plus, you can get really ironic and drink wine exclusively all night! Channel everyone's favorite cool '80s character with the world's simplest costume. All you need is socks, a long shirt, and sunglasses — oh and of course, a statue to use as a "microphone." 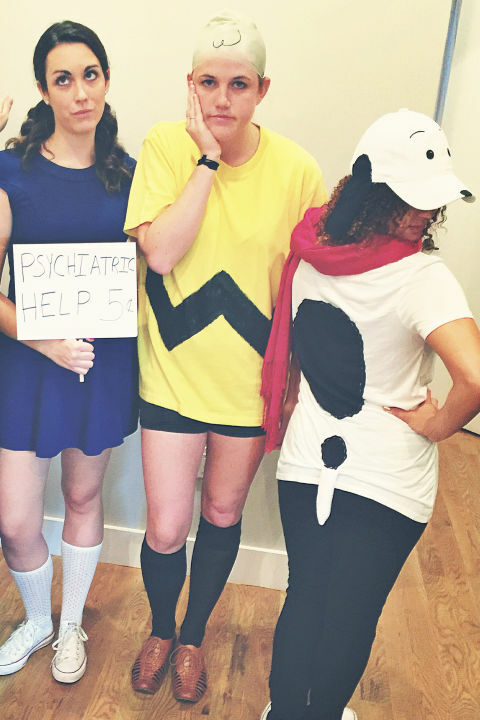 Let your annual screening of It's the Great Pumpkin, Charlie Brown inspire a quick group costume. Cast your crew as the Peanuts gang (don't forget Snoopy!) and use t-shirts and knee socks to recreate the looks. Oh, brother, that's cute! 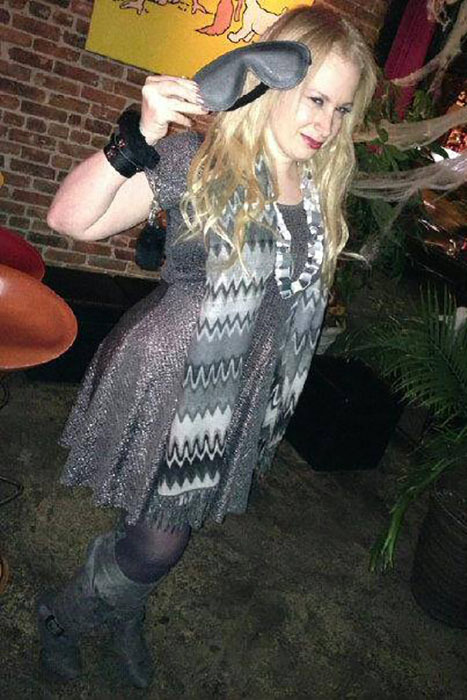 If you're feeling a monochromatic look this year, try this super simple costume. 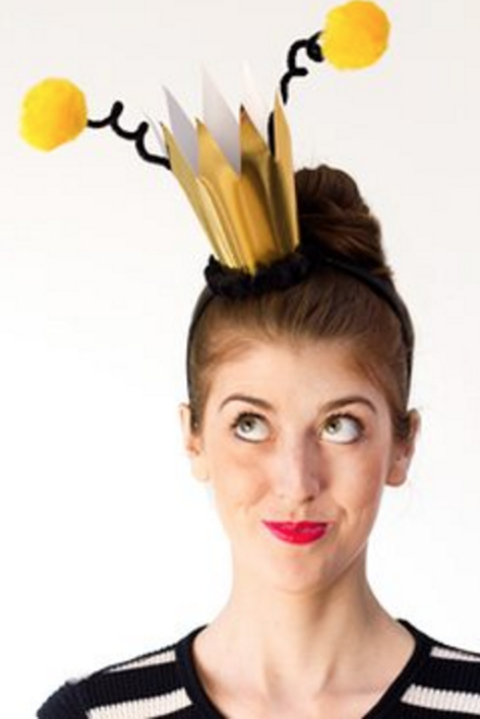 All you need is some fabric, a bit of elastic, a headband and some glue to go batty on Halloween. 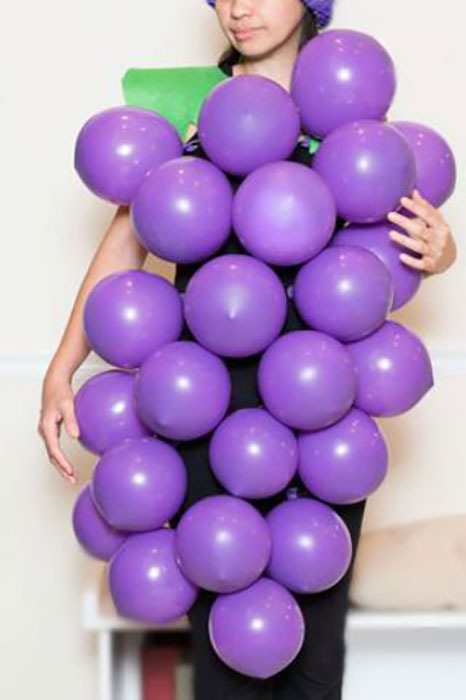 This truly unique costume will wow everyone at the Halloween party. 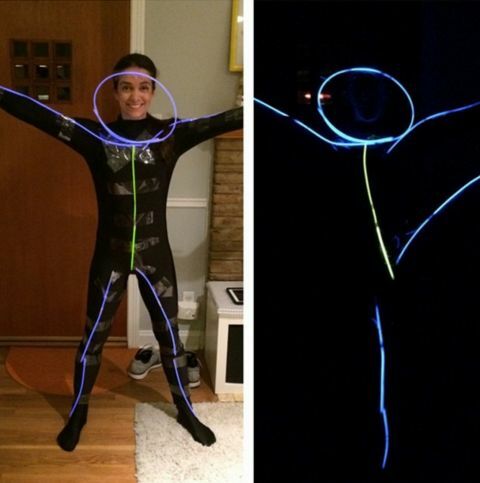 All you need is a spandex body suit, some glow sticks and a roll of tape to create a cool fluorescent costume. 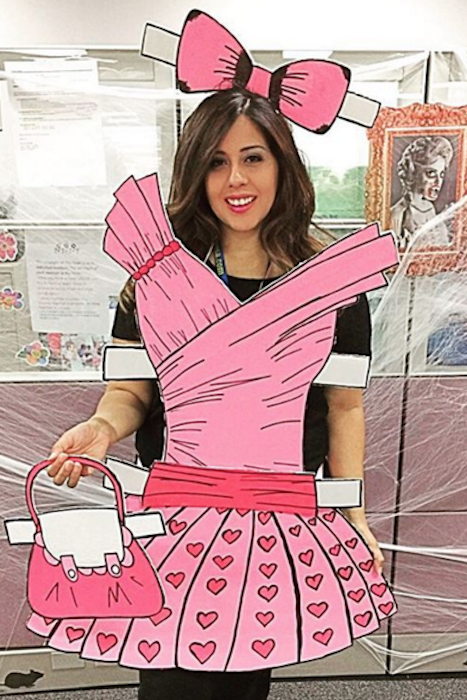 This cool paper doll costume is deceptively simple. Just get your hands on some poster board, a pair of scissors and a set of markers to create this funky 2-D design.